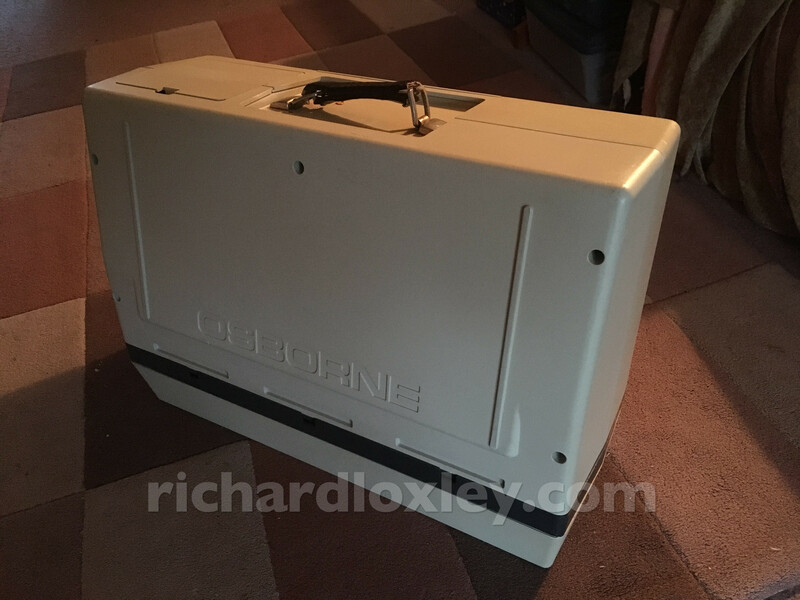 Back in February 2018, I finally had a chance to buy an Osborne 1, the world’s first portable computer, from 1983. 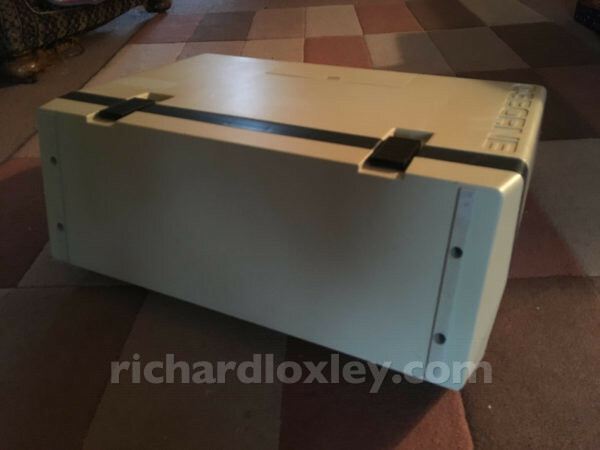 I’d been after one for years, but they are quite rare in the UK, and most eBay sellers are unwilling to ship such a heavy and delicate computer. This one was somewhere that I could pick it up while visiting relatives, and just within my budget. This one is the second revision (model number OCC 1a) with a slightly different case. 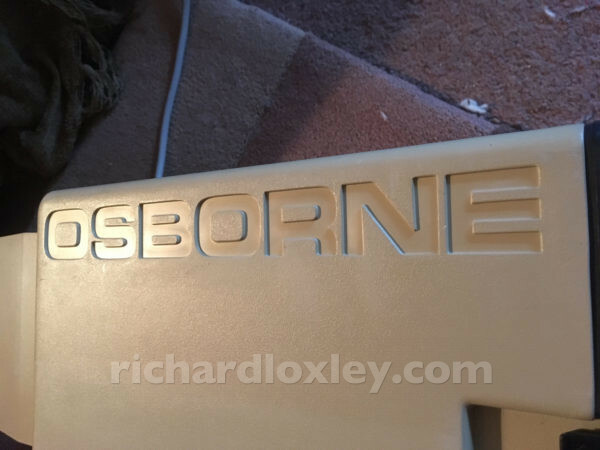 I’ve not seen a first revision Osborne for sale in the UK. The first revision had clips for the keyboard on the sides, and a ribbon cable to connect the keyboard. 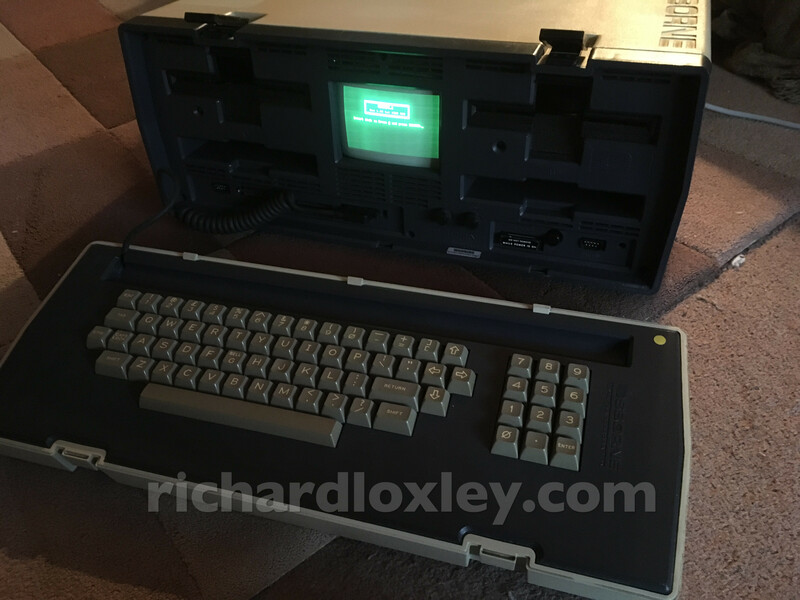 This revision had a difference moulding for the case, clips on the top, and the keyboard is connected by a coiled cable. Confusingly, most online guides refer to this one as having a ‘blue’ surround to the monitor. It’s not blue, it’s grey/black, albeit a slightly bluey hint of grey/black! I got it cheap because it’s missing the boot disks. The seller had had it a few years but hadn’t managed to find a way to make any boot disks. 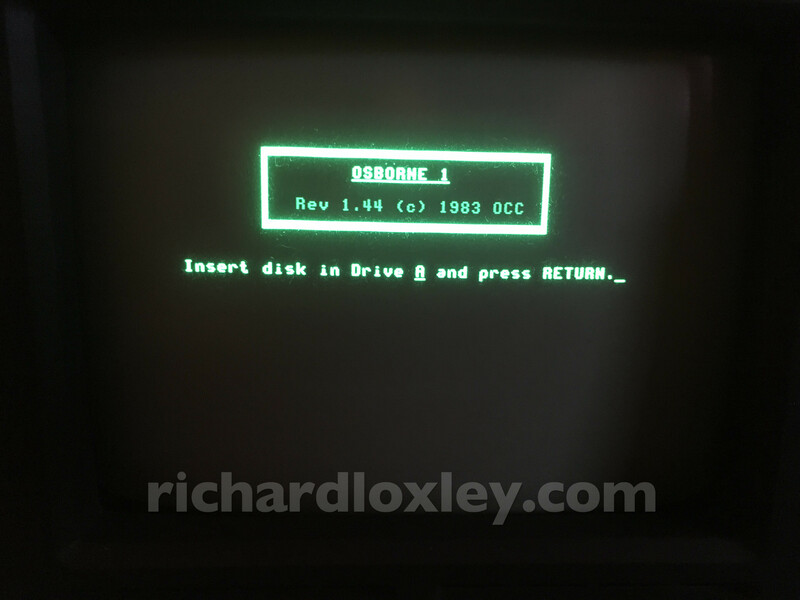 This is what happens when you try to boot with no disks in the drive! I have a plan to use my solid-state USB floppy emulator to boot it and then make copies of a system image to real disks. 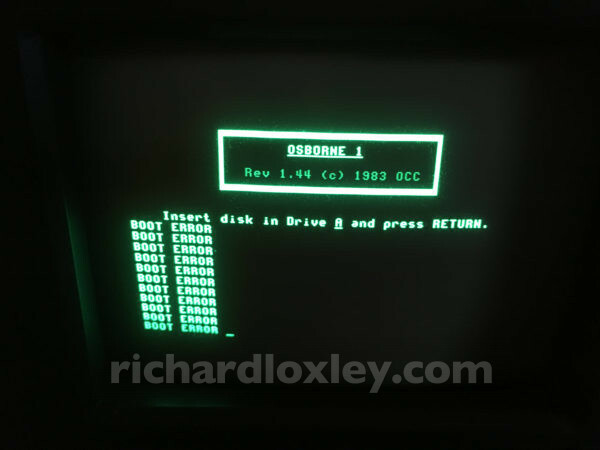 The labels indicate an interesting mixture of stuff, presumably early IBM compatible: MS-DOS 6.22, Wordstar for the Amstrad PC1512, and a couple of compilers (C and Turbo Pascal). Also pictured on the right: a box of 10 disks handily bundled with the Osborne 1. 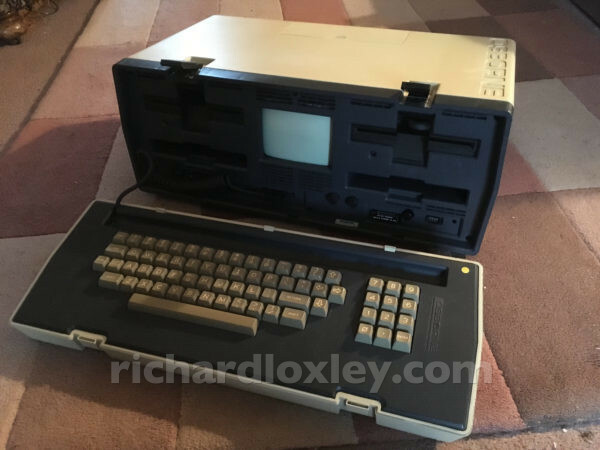 But I don’t want to use them as they appear to be from a Commodore PET, and might have something interesting on them if I can ever get my PET working and talking to a disk drive! This entry was posted in Retro computing and tagged Osborne, rc201804, retro, retrochallenge on 1 April 2018 by Richard.